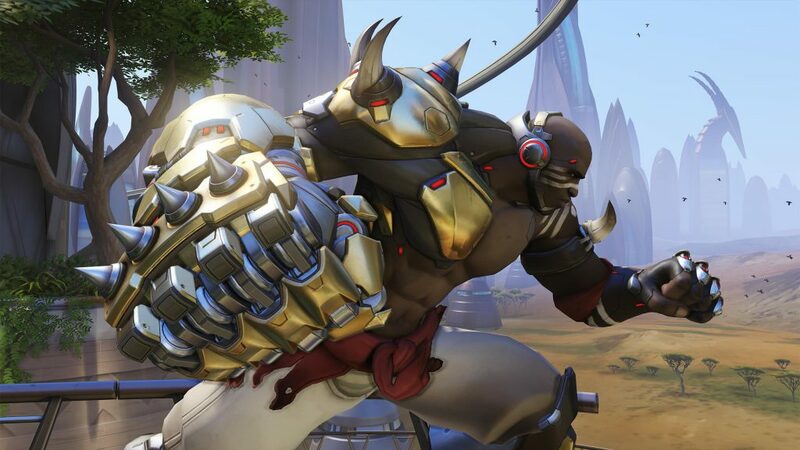 After a big origin story reveal last week, Blizzard surprised everyone and made the long awaited antagonist, Doomfist, playable on the Public Test Realm (PTR). This powerhouse is a welcomed addition to the already jam packed character roster. Mixing melee with a bit of ranged makes Overwatch's Doomfist a formidable opponent. To herald the announcement, Blizzard released a short animated clip that shows the characters escape and how he got put in jail in the first place. Doomfist's origin is a bit of a sad one. Once a highly intelligent and charismatic public figure, Akande Ogundimu, was born to a wealthy family that owned a prestigious prosthetic technology company. Ogundimu expanded his family's company to new levels and in his free time dedicated his life to learning various forms of martial arts. After the big Omnic Crisis he unfortunately lost his arm which was quickly replaced with a good ol' robot arm. But because this is a bad guy origin story, the robot arm made him ineligible in the martial arts tournaments he once held close to his heart. Eventually trying to fill this void led him into the arms of the evil mercenary company, Talon, which he quickly took over his business. After years of running the mercenary group he was taken down by our heroes over at Overwatch and locked up until his recent escape. Doomfist has a host of abilities available to him in order to take out the competition. His main weapon is a short range "Hand Cannon" that is like a shotgun version of the mega buster. Not very good at a distance, this gun is able to close the gap for the character to start using his Doomfist gauntlet, the real damage dealer. Doomfist is also able to close the gap with his seismic slam ability that lets him leap through the air and upon landing, nearby enemies will be dragged toward him. Once up close the anti-hero can use his rising uppercut ability to deal massive damage and launch his opponents into the air. Another handy move in his bag of tricks is the rocket punch, which deals a ton of damage after a short charge and will do even more if the enemy hits the wall. Doomfist will also gain shield charge upon successful ability hits and his devastating ultimate, meteor strike, sends the character to the sky to come crashing back down killing all that land in the blast radius. Doomfist sounds like an awesome and unique character but that's not surprising considering Blizzard's recent additions to the game. This launch follows up their recent "Lunar Colony DLC" and fans can't wait for the antagonist to be available to all. Currently, Doomfist is only available on the PTR but Gigamax will be sure to have footage when he launches on the PS4 so be sure to keep checking back for more info!